Marine mammals, media moguls and modern medicine: SF State professors have several new and re-released books representing important contributions to their academic fields. Read more below about the latest from the University's faculty. 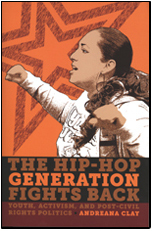 Urban youth of color are politically active in ways often unseen by the wider public and tackle tangible problems within their local communities, Associate Professor of Sociology Andreanna Clay writes in "The Hip-Hop Generation Fights Back: Youth, Activism, and Post-Civil Rights Politics." Countering the notion of young people of color as apolitical, Clay explores how activists are framing their social justice agendas and organizing in their communities, using the history of past social movements, popular culture outlets like hip-hop and spoken word, and their own experiences to mobilize their peers. Manatee and dugong populations, also known as sirenians, are dwindling due to habitat loss and hunting. The species live primarily in developing countries where their decline has received little attention in the academic world. 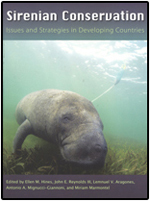 In "Sirenian Conservation: Issues and Strategies in Developing Countries," a new text edited by Professor of Geography and Human Environmental Studies Ellen Hines, more than 80 researchers from around the world provide a "state of the science" report on sirenian populations and attempt to develop a common framework for conserving and protecting these vulnerable species. In bringing these researchers together, Hines provides a look at what is being done to rescue, rehabilitate, release and monitor the animals and explores how scientists can integrate their research into conservation efforts. As a child, Professor of Philosophy Jacob Needleman struck up a friendship with another young boy who, just a few months later, would die of leukemia. 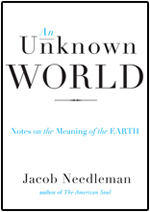 The brief relationship forced the boys at a young age to contemplate the meaning of life, death and the universe, and Needleman draws upon that friendship in his latest book "An Unknown World: Notes on the Meaning of the Earth." Describing the vivid dreams of his friend that led him to examine the relationship between humans and the Earth, Needleman looks beyond issues of the environment and conservation to ask, "What is the purpose of the Earth itself?" In doing so, he reveals how caring for the planet is a basic and vital part of our existence as human beings. First published in 1997, Associate Professor of Cinema Joseph McBride's "Steven Spielberg: A Biography" provided an intimate look at one of the most acclaimed filmmakers of all time. The third edition adds an exploration of Spielberg's most recent films, "The Adventures of Tintin" and "War Horse," and what they mean for his career development. The book also examines Spielberg's ups and downs as a "mini-mogul," including the complicated and sometimes difficult financing of his production company DreamWorks. Although it is commonly accepted that medicine is a basic good that societies should provide to their members, there is little consensus on the scope and content of what to provide, and to whom. 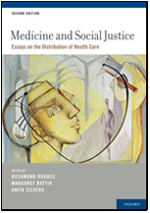 "Medicine and Social Justice: Essays on the Distribution of Health Care," co-edited by Professor and Chair of Philosophy Anita Silvers, contains 42 essays by philosophers, legal scholars, political scientists and economists discussing social justice in medicine. The collection's second edition includes 22 new essays that address policy changes and medical ethics issues that have emerged since the book was first published in 2002. In addition to writing the book's introduction, Silvers contributed an essay that looks at deficiencies in health care for the chronically ill and disabled and how to improve it. On the Bookshelf highlights new books written by SF State faculty. Check back for more from SF State professors.